Ahmad Khan Rahami, the man believed responsible for a series of bombings in New York and New Jersey, was carrying on his person a notebook filled with radical Islamic invective referencing multiple jihadi attacks and terrorism-linked clerics. In the notebook, Rahami accuses the American government of triggering a war on U.S. soil and favorably references Al Qaeda preacher Anwar al-Awlaki, chief terrorist Osama bin Laden, and terrorists who have acted in the United States, such as Fort Hood jihadi Nidal Hassan. Rahami later makes clear he is referring to Sheikh Anwar al-Awlaki in another part of the book. “Anwar al Awlaki has spoken the truth. ‘Join us in our new front’ IE Yemen,” the notebook reads. “The FBI and Homeland Security looking for me,” another sentence fragment notes, indicating he may have been writing in this book after he planted the first bombs. “In my heart I pray to the beautiful wise Allah. To not take jihad away from. I begged for shahadat [martyrdom] & Inshallah this call will be answered,” Rahami writes. The sentence appears to indicate Rahami was looking to die at the end of his terror spree, and sheds light on reports he is not currently cooperating with police as he recovers from gunshot wounds in Newark. Breitbart News has seen the notebook in question through images obtained from a law enforcement source. The notebook was on Rahami’s person and appeared to have been pierced by a bullet. The bullet hole and blood stains make parts of it difficult to read. Rahami is believed to be responsible for planting bombs in Seaside Park, NJ, Chelsea, Manhattan, and Elizabeth, NJ over the weekend. 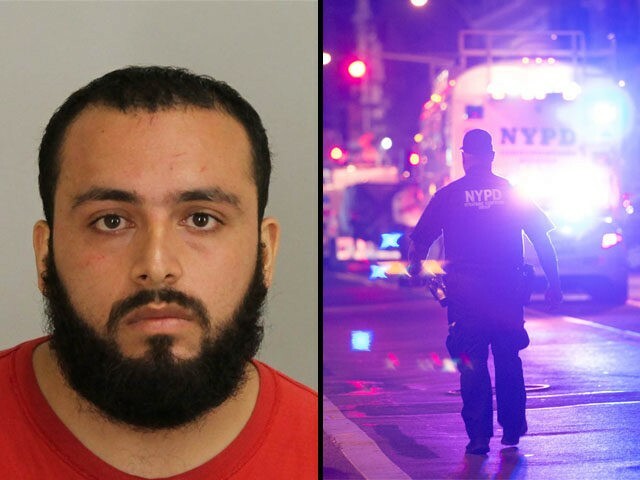 The bomb in Chelsea injured 29 people, and Rahami injured two police officers in a gunfight in Linden, NJ, where he was arrested.